Robert H. Coblentz, M.D., F.A.C.C. 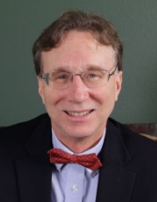 Bob Coblentz facilitates compelling skill-building programs and provides coaching for physician leaders and organizations implementing the Language of Caring for Physicians program. Dr. Coblentz is also a practicing Cardiologist and physician leader at West Penn Hospital in Pittsburgh. Dedicated to creating medical communities that support inter-professional teamwork and quality medical care, Dr. Coblentz is an enthusiastic and effective teacher, mentor and coach with a warm and persuasive style. He received three Teaching Prizes for his lecture series in Cardiology of West Penn Hospital. Dr. Coblentz earned his M.D. degree from Jefferson Medical College and his Master’s and Bachelor’s degrees from Northwestern University. He completed residencies in Internal Medicine and also a Cardiology Fellowship at West Penn Hospital in Pittsburgh. He is certified in Internal Medicine, Cardiovascular Disease, Nuclear Cardiology and Electrocardiography. Dr. Coblentz is currently affiliated with West Penn Hospital and Allegheny General Hospital, as well as University of Pittsburgh Medical Center and Shadyside Hospital. On the Healthcare Experience: Dr. Coblentz has decades of real world medical practice experience and has a deep understanding of the daunting challenges facing his colleagues in their quest to improve the patient experience. He believes that improved communication is the key to providing a better patient experience and that the skills and techniques taught by the Language of Caring programs are an effective and efficient path to achieve this end.